Formed in the early nineties, the Folsom Environmental Commission has provided a number of services to our community. A comprehensive Environmental Resources Inventory was written and published, defining all of the many natural resources and history of our community. The FEC has also sponsored the bi-annual environmental pledge program at Folsom School, which provides a simple pledge for all first and second graders to review and sign – all participants then receive a special commemorative tee shirt. The FEC regularly contributes toward the funding required to sponsor the annual Folsom School 6th grade Stokes State Forest trip, sponsors subscriptions to National Wildlife Federation publications for the Folsom School library (Ranger Rick and Our Big Back Yard), provides contacts for education and outreach programs for Folsom School students through other local environmental organizations, and offers sponsorship for local roadside cleanups throughout the community. These have been Boy and Girl Scout groups as well as local citizens. 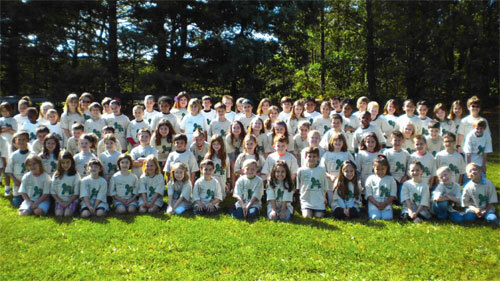 Environmental Commission volunteers help protect their community environment through education and various activities. We inform residents on environmental issues and programs within our Borough. The Folsom Environmental Commission is part of ANJEC, the Association of New Jersey Environmental Commissions. You do not need a background in science to join, just an interest in the environment of our community. Contact: Joel Spiegel, Chair of the FEC at jaspiegel@excite.com or call at 609-567-0779 or Greg Conway at gconway@folsomborough.com (609) 892-9299. Dendroctonus frontalis – the Southern Pine Beetle attacks most species of pine. In our area it prefers pitch pine. Indications of the pine beetle: needles turn yellow and possibly red and brown. 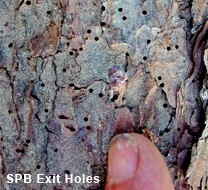 You can check for the beetles by inspecting the bark for holes.